All prices are subject to change as supplies decrease or shipping increases. Rare, collectors item! Printers industry of America Certificate of Merit Award Winner. Limited first edition of 1500. 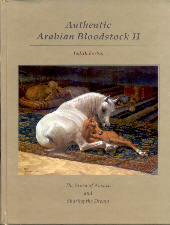 Leather-bound, 744 pages, 8 1/2 x 11, over 350 Orientalist equine illustrations. 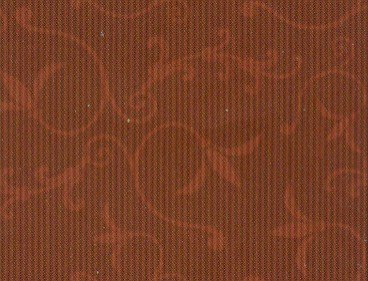 BOOK 1: Set amidst the arabesque splendor of Egypt and the harsh Arabian Desert. Describes the Pashas and their fabulous horses and stud farms from which our 20th century Arabians descended. BOOK II: Chronicles Abbas Pasha's European contemporaries. 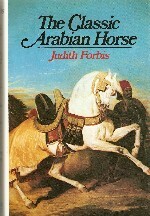 BOOK III: Contains the original narratives in the Arabs' own words about the Arabian horse strains that make up the foundation of the modern Arabian horse breed. BOOK IV: Connects the past to the present Arabian horse world. Maps and charts assist the reader to follow sojourns, raids, and battle campaigns across continents and deserts. Sold out. Some copies occasionally available by private arrangement. Check E-Bay or other rare book sellers. horses who have proceded today's Egyptian Arabian horses. Foreign orders please contact Ansata Publications for shipping and handling fees. Companion to Authentic I. Chronicles the "vision" of a childhood dream into the reality of developing one of the world's most prestigious breeding farms. 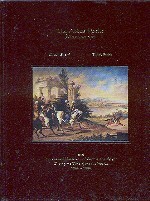 It discusses a most unique perspective on "the art of breeding Arabian horses" and proves the point throughout the 624 pages with over 1000 historic illustrations of past and present Egyptian Arabian horses worldwide - many of whom play or played an important part in this historical breed. Chapters include: Believing in the Magic of Your Dreams; Conceptualizing the Dream; Dreams of the Past, Realities of the Future; Realizing the Dream; Perfecting the Dream; and Sharing the Dream. Each chapter brings to light nuances in the "art of breeding." 8 1/2 x 11, Hardbound. Recently reprinted - supply limited. 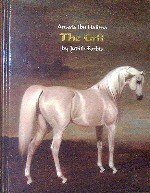 The internationally best selling "text book" history of the Arabian horse from antiquity to present day. Considerable emphasis on the horses of Egypt. Profusely illustrated. 432 pages, Hardbound. KEEPERS OF THE WIND - A unique, beautifully photographed & inspiring documentary of Ansata stallions over the past 40 years up to the present. We promise you'll want to share this film with your friends. 20 minutes. Tells the story of Don and Judith Forbises' life together in the Middle East and the history of the world famous Ansata stud they established in 1958. 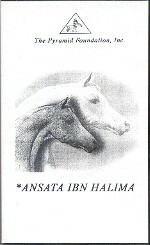 THE KEY OF LIFE - Silver Screen Award winning film, a historical overview of the Arabian horse and Ansata's foundation Arabians, including *Ansata Ibn Halima, Ansata Ibn Sudan, Ansata Shah Zaman, *Ansata Bint Bukra, etc.. BELIEVING IN THE MAGIC OF YOUR DREAMS - A short story about Ansata and how Judi Forbis accomplished her goal of developing a world famous Arabian stud farm. A professional film that appeared on AETN TV. Check, money order, or wire transfer accepted. Please phone, email or fax your information.